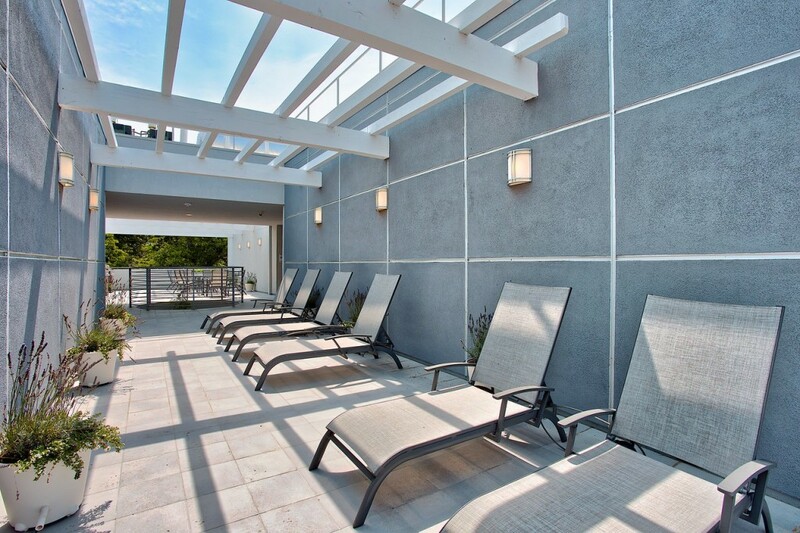 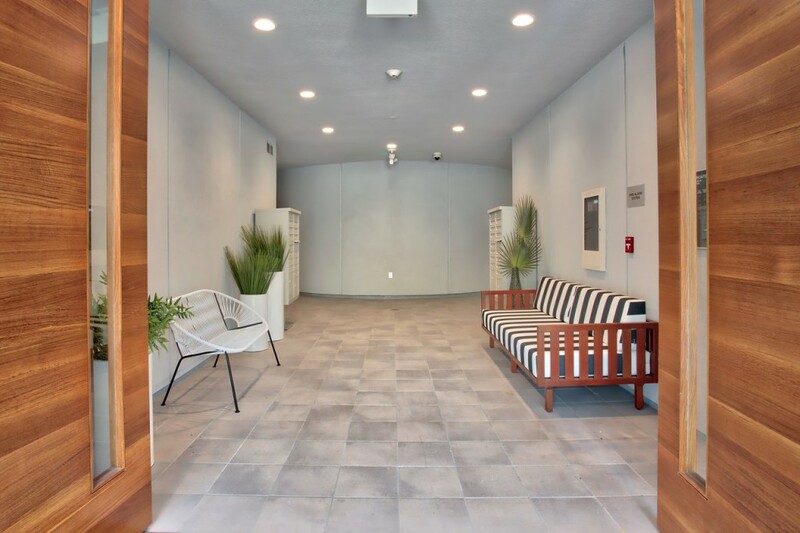 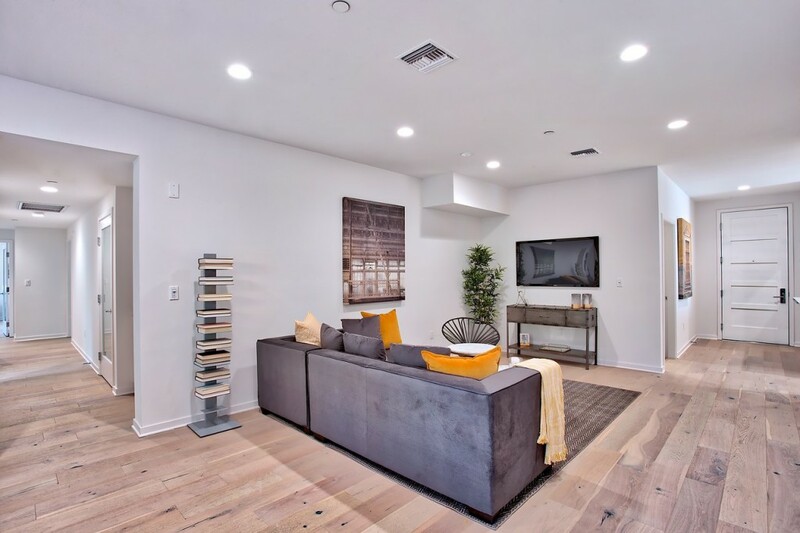 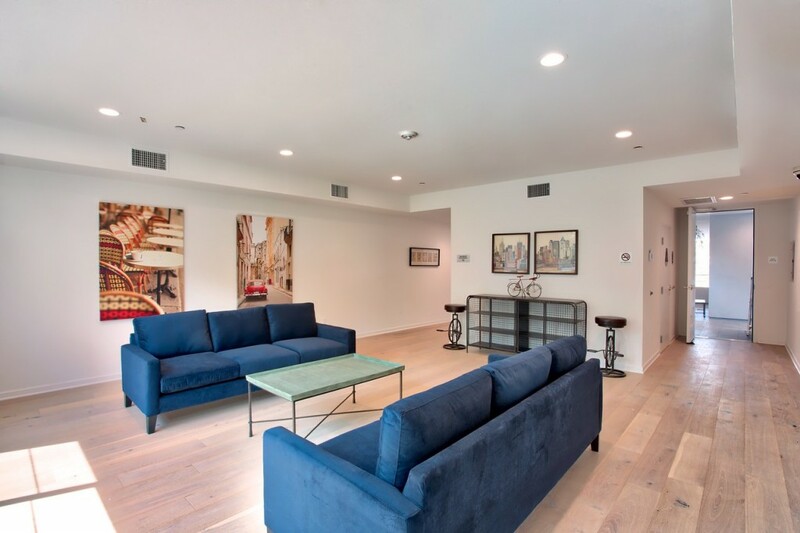 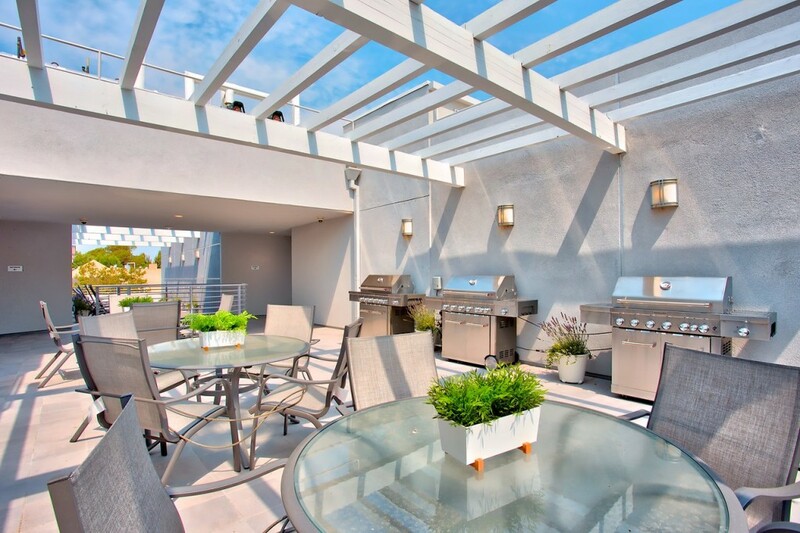 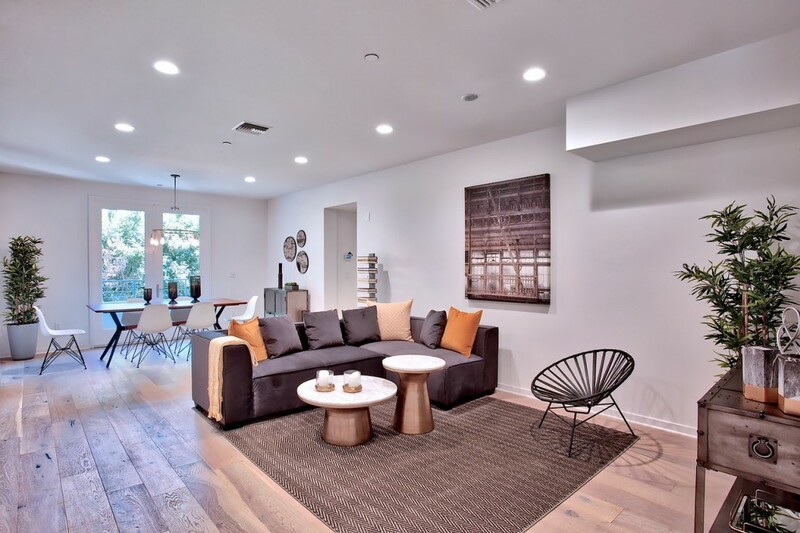 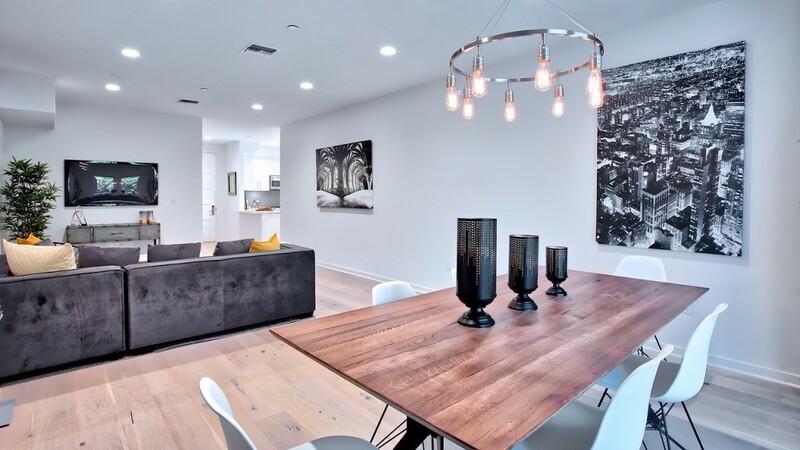 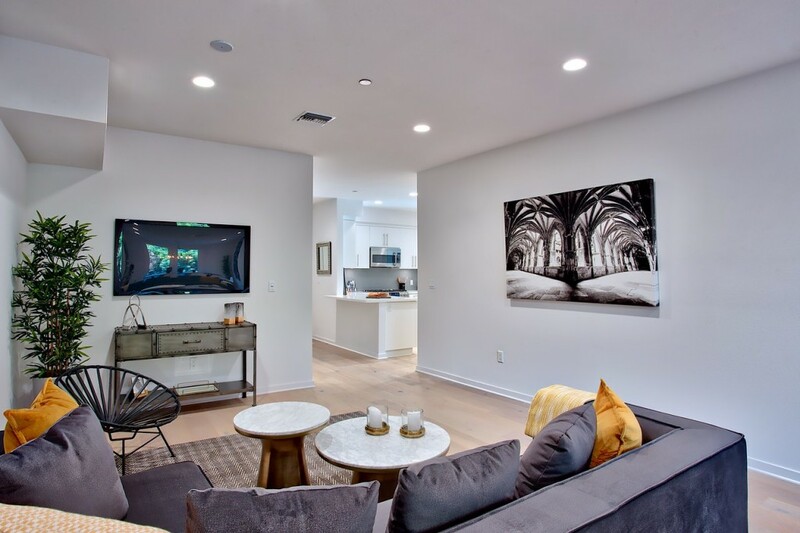 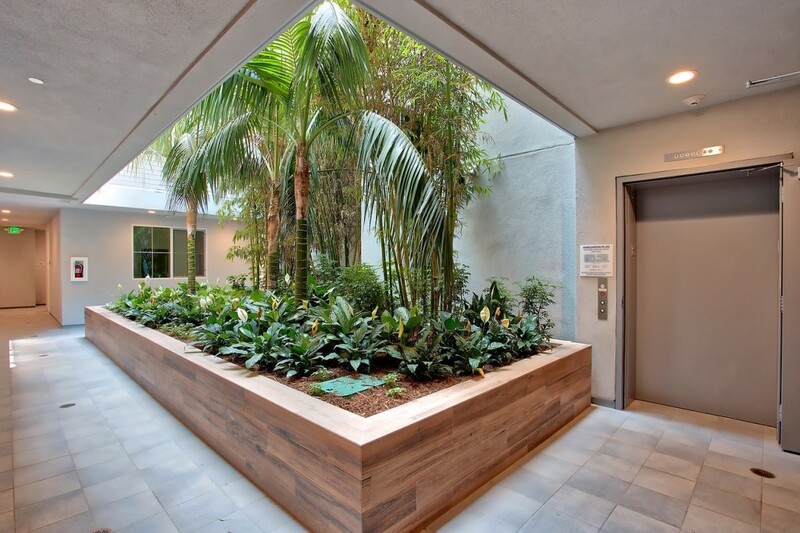 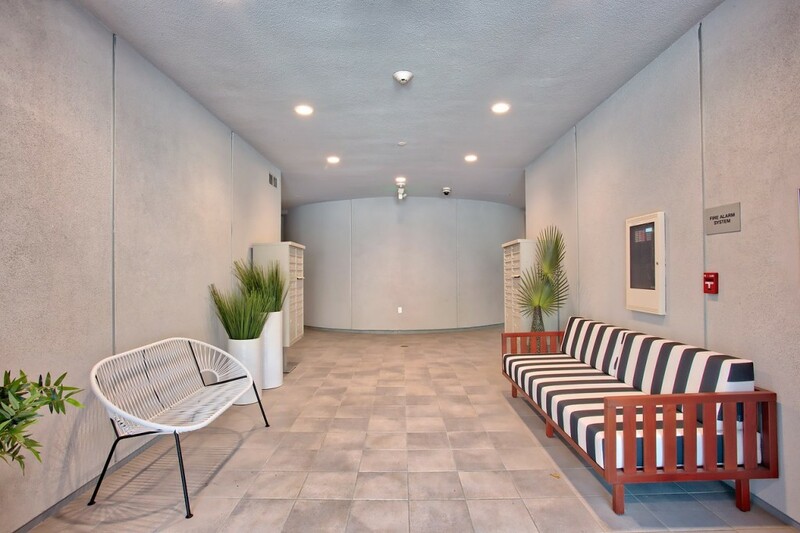 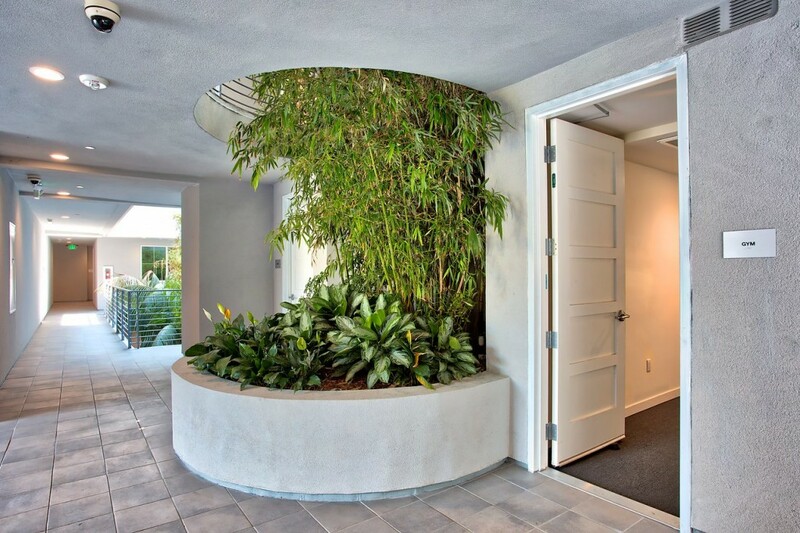 Welcome to this newer luxury condo perfectly positioned in Studio City's most desired area - walking distance to Ventura Blvd's premiere restaurants & shops. 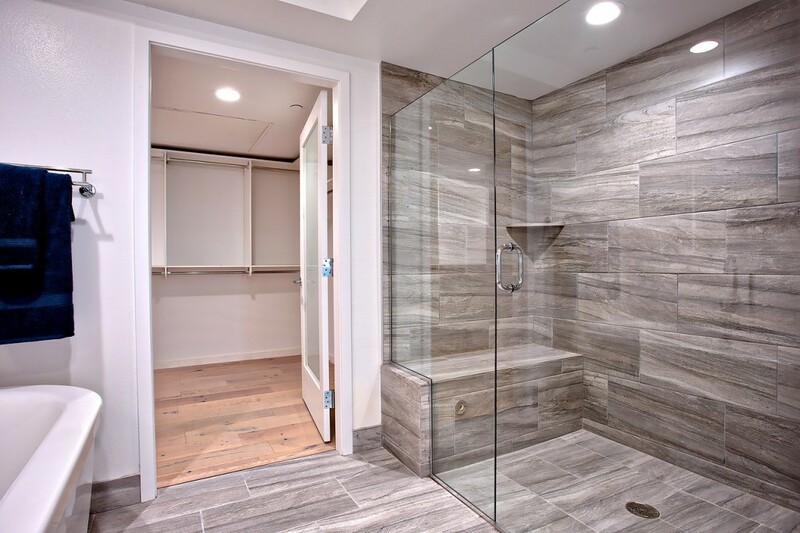 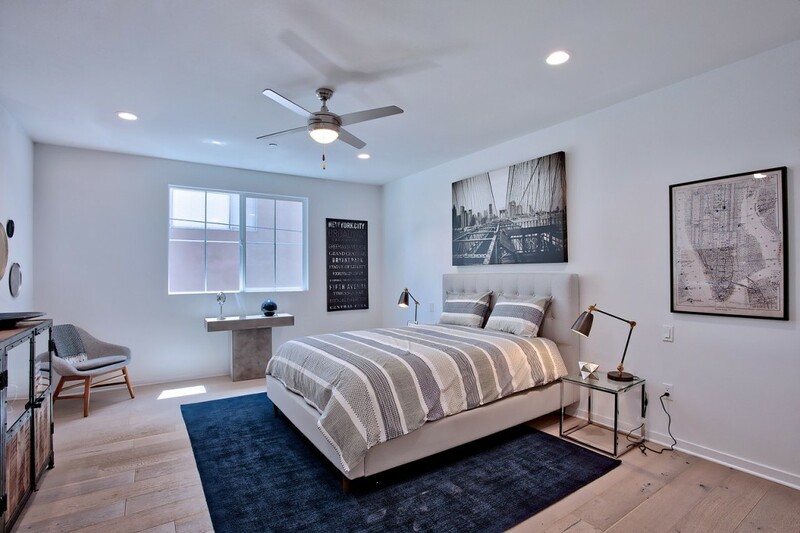 Built in 2017, this stunning unit which has never been lived in features 3 bedrooms 2.5 baths, a gourmet kitchen with lustrous Caesarstone counters, stainless steel appliances, engineered wide-plank Oak Wood flooring, Master Suite with a capacious walk-in closet, fabulous spa-like master bath with soaking tub, large walk-in shower with built-in bench & dual vanity sink. 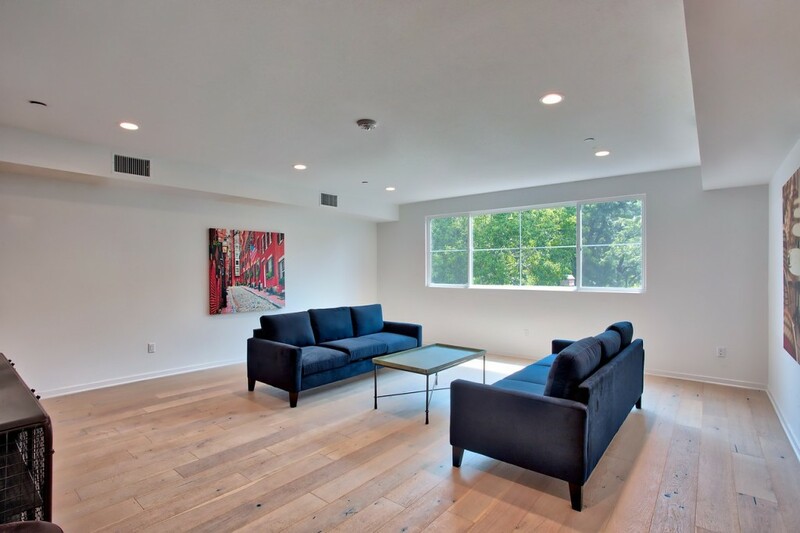 Nine-foot ceilings embellishes the open floor plan. 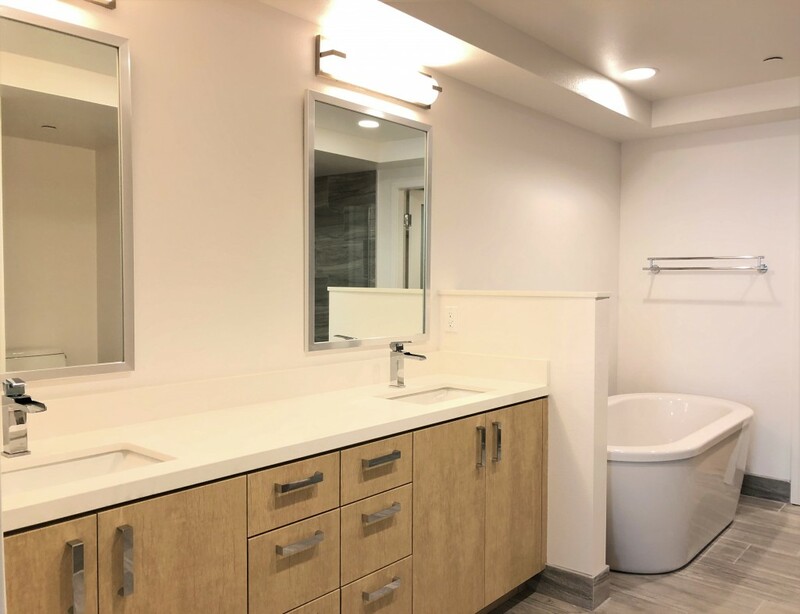 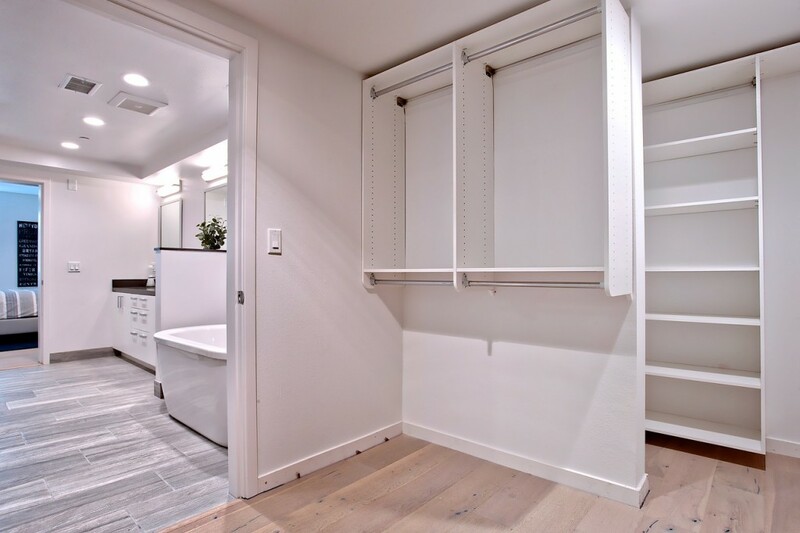 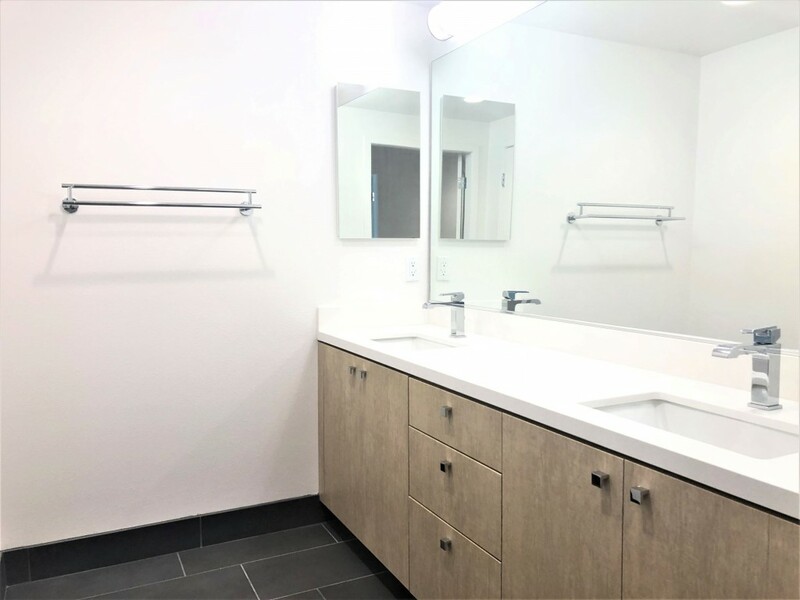 The unit also features recessed LED lighting throughout, upgraded interior doors with opaque glass, French doors to private balcony with nice views, Milgard dual paned windows & laundry room that fits a full-size stackable washer/dryer. 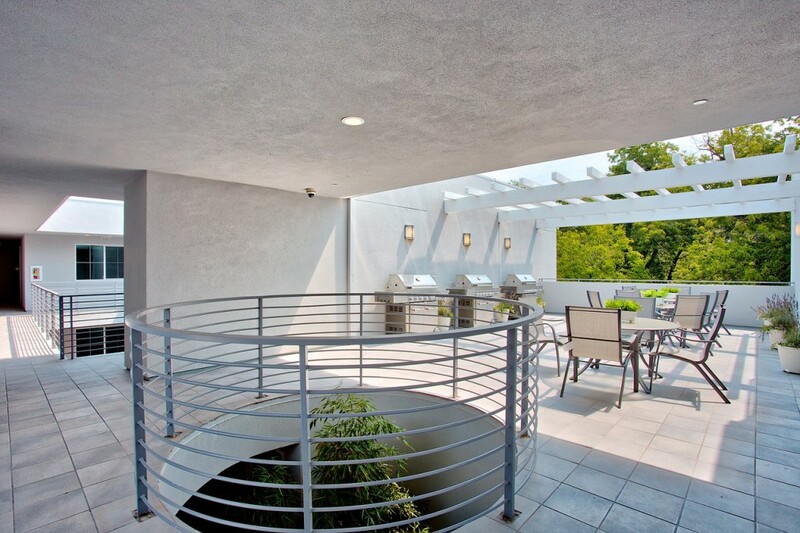 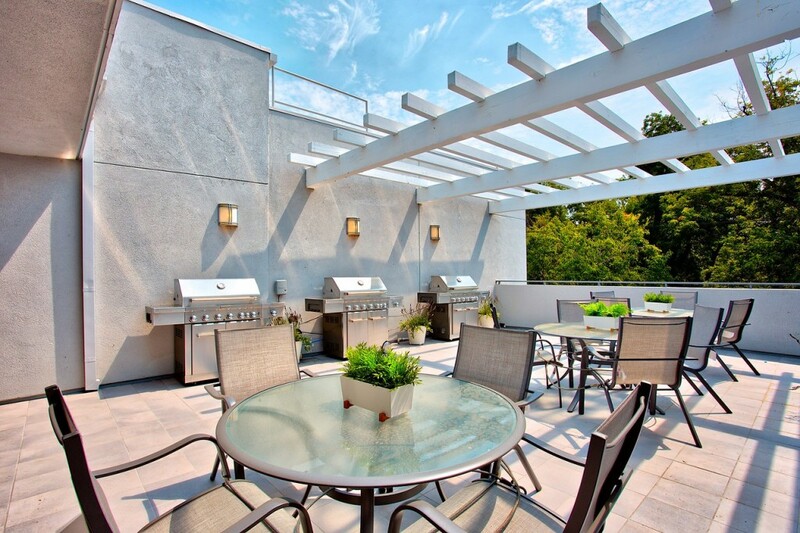 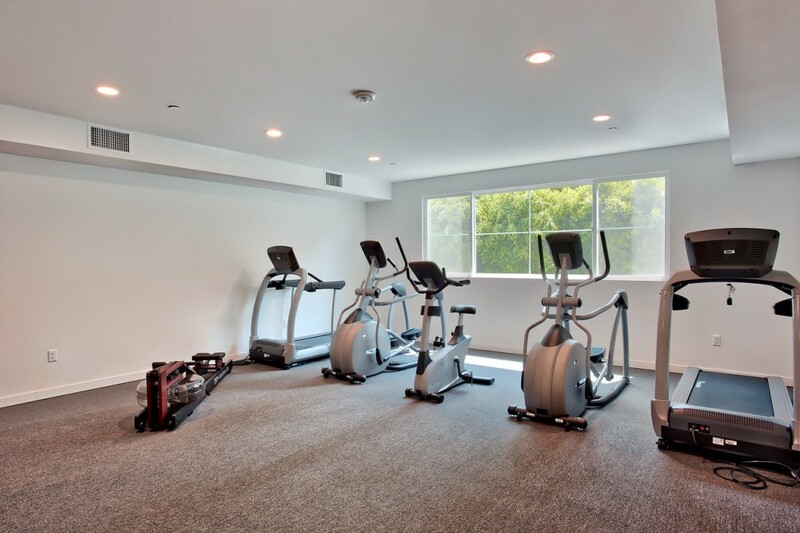 Building amenities include a fitness center, a furnished meeting room & a 4th floor community patio with grills and lounge chairs. 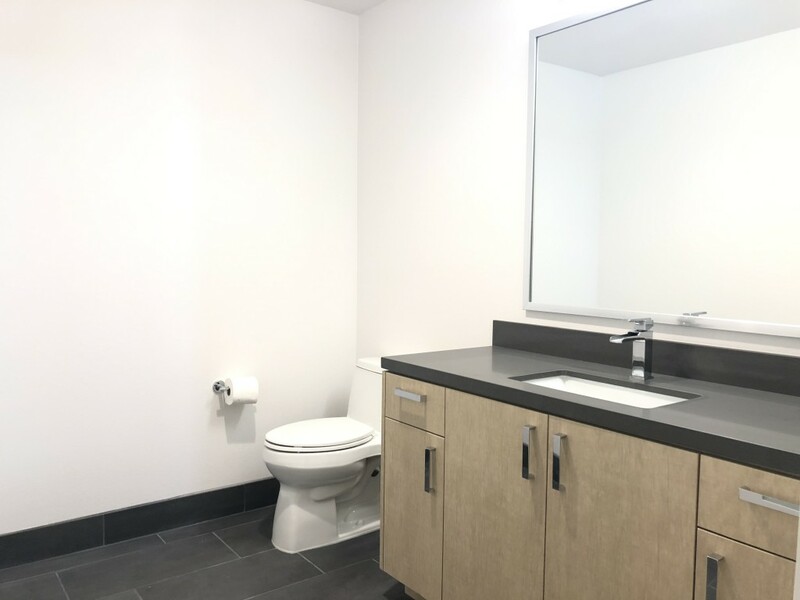 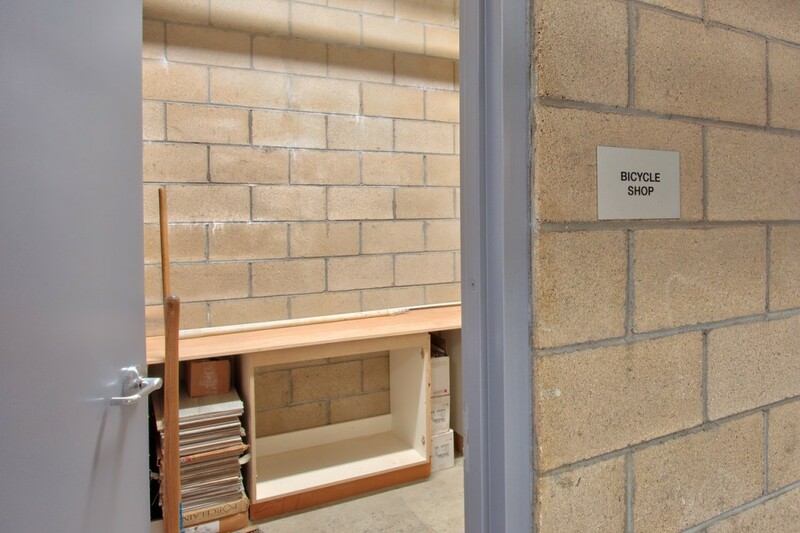 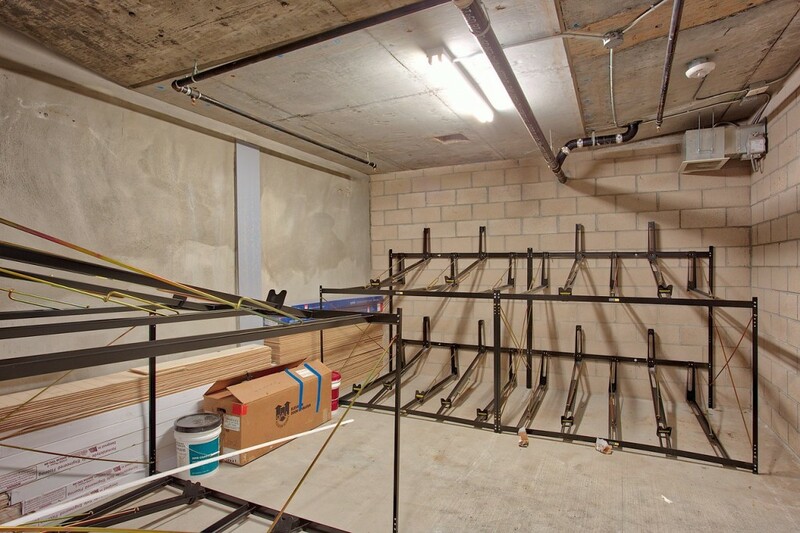 Included is a separate bicycle room,16 guest parking spaces & security system with 32 cameras throughout building and building has EQ insurance. 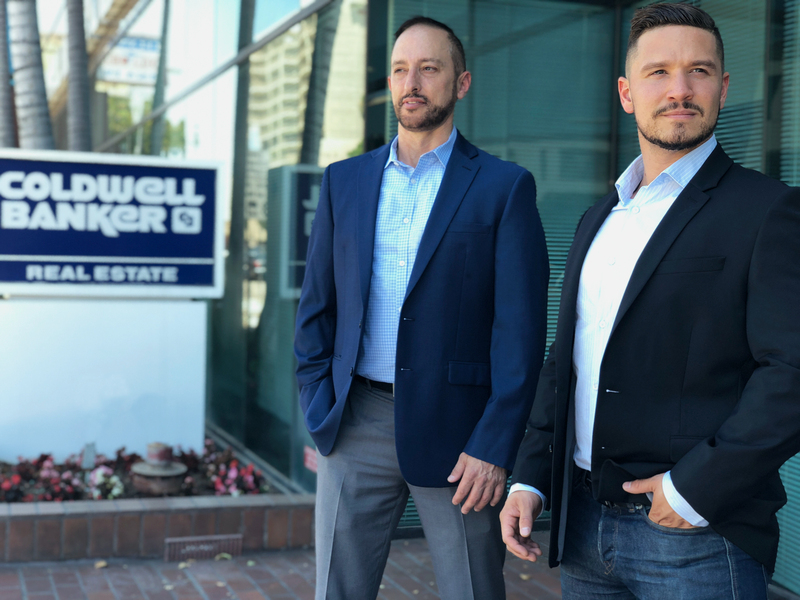 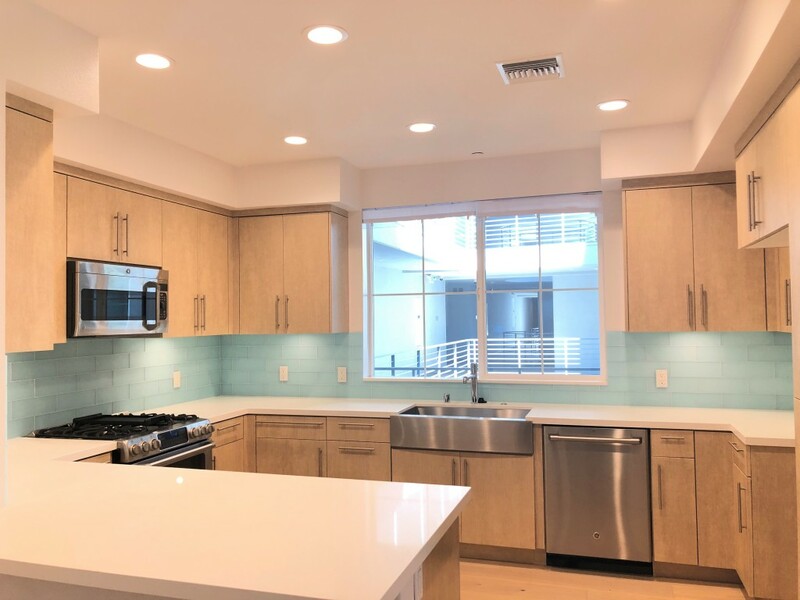 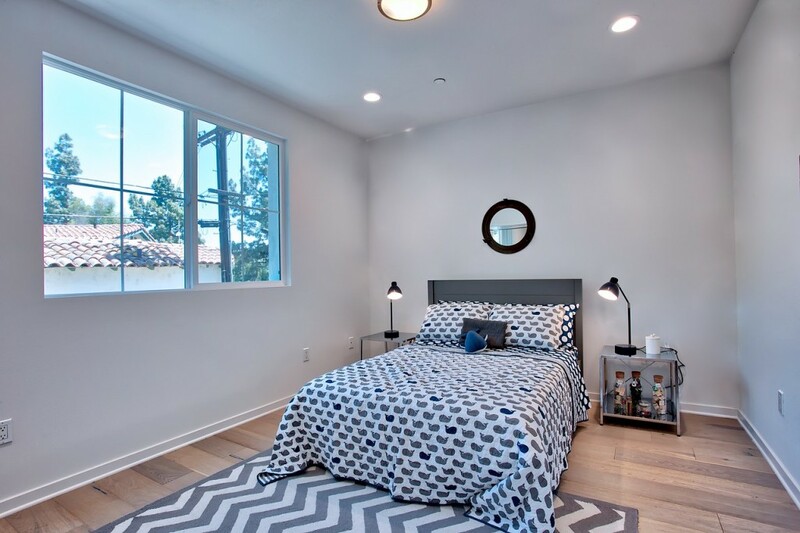 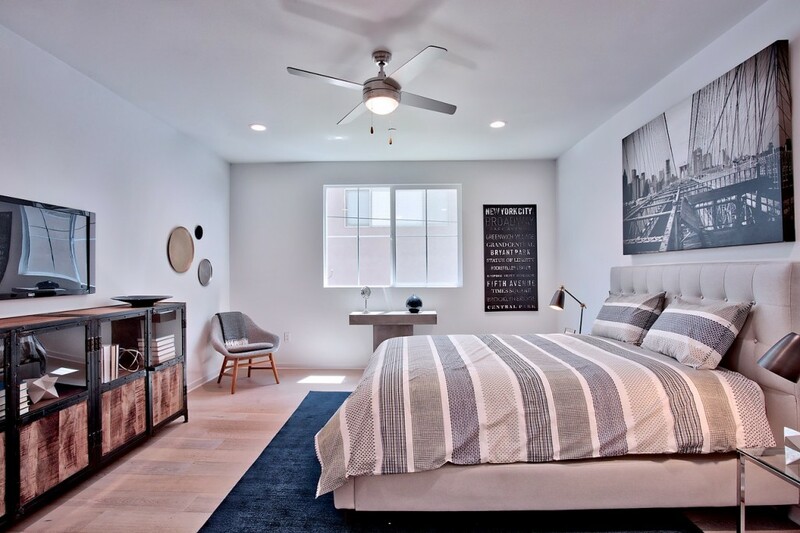 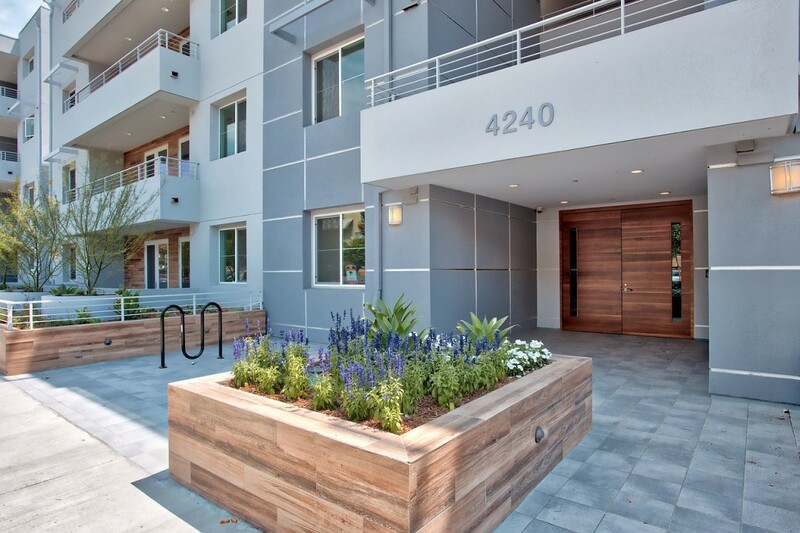 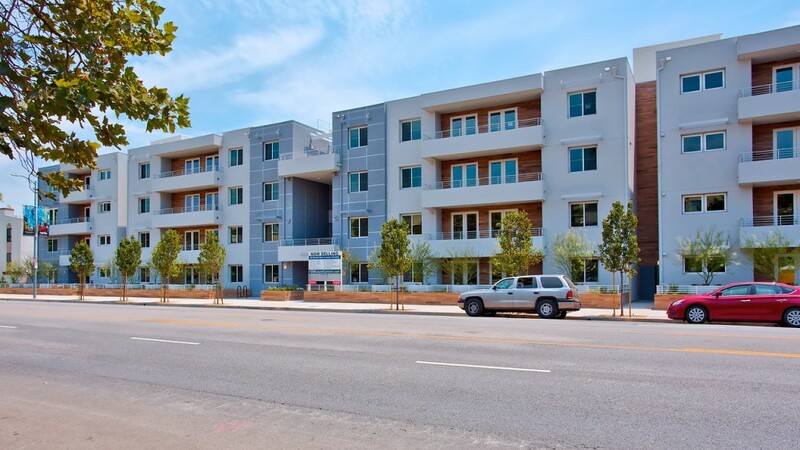 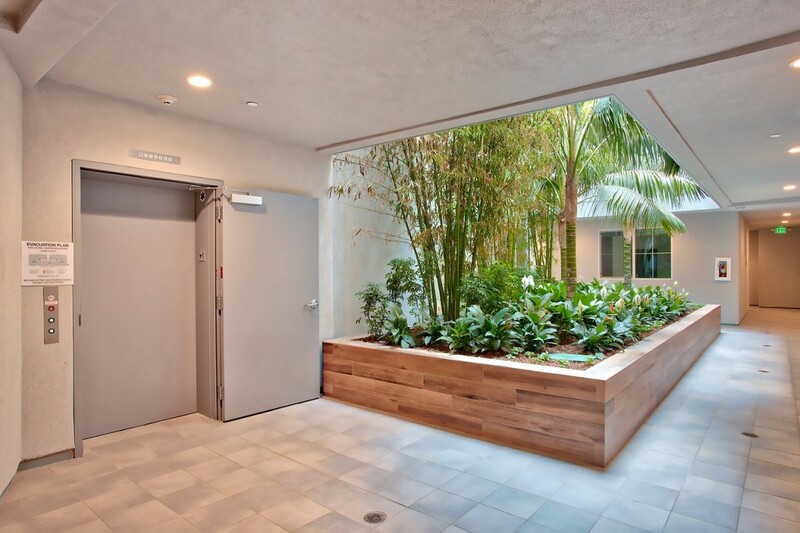 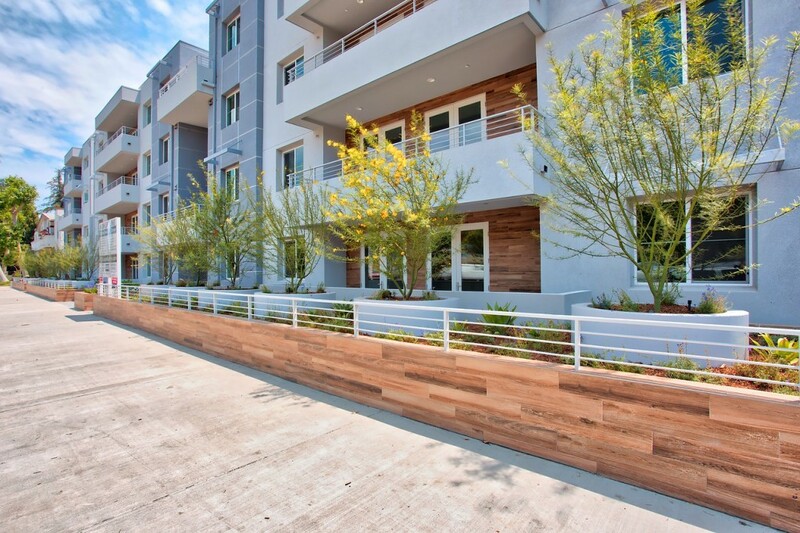 Located in the award winning Carpenter Community Charter Elementary School District and close to the Studios, Downtown, 101 freeways and a short drive over the hill to West Hollywood, Beverly Hills and the westside.